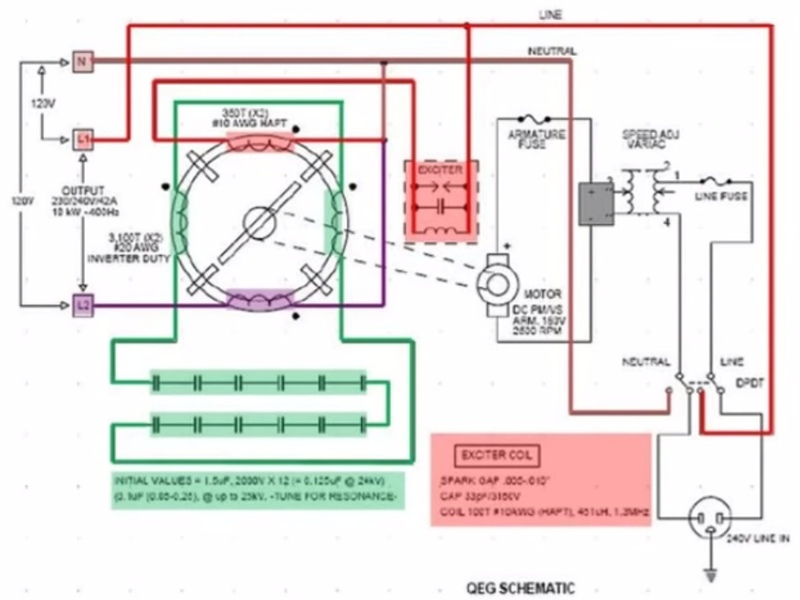 Debunked: Quantum Energy Generator (QEG), 10kw out for 1kw in. Discussion in 'Science and Pseudoscience' started by Pete Tar, Apr 30, 2014. Is this credible science? Good if so. An average modern household requires 5-10KW of power to operate. A conventional generator needs 15KW to produce 10KW of power. To produce these 15KW of power we rely on gas, diesel, propane, coal or other products that can be metered creating profits for the oil industry. 130 years ago Nikola Tesla invented and patented an energy generator. This is a resonance machine that only needs 1KW of input power to produce 10KW of output power. His patents are now in the public domain. The Fix the World Organization has reproduced Teslas design with a few modern twists to generate the same results. Our Quantum Energy Generator (QEG) provides 10KW of power output for less than 1KW input, which it supplies to itself. We have freely given this technology to the people of the world. We’ve open sourced a full set of instructions, user manual, schematics and parts list for any engineer to follow and reproduce the same results. First we use a starting power source, such as an outlet or a crank to power the 1 horsepower motor. This motor spins the rotor in the generator core. The unique oscillator circuitry configuration in the generator core causes resonance to occur. Once the core achieves this resonance it can produce up to 10KW of power, which can then be run through an inverter to power the motor that spins the rotor. You can then unplug the motor from the original power source and the generator will power itself. No. It's just an old scam. They just sell consulting services at $300 per hour, as you try to get the machine to work, for as long as you let them. So all he is demonstrating is that he's assembled the machine. "Achieving resonance" sounds very new age, but really it's just getting the generator running at the right speed to form a resonant circuit ( a "tank circuit") with the capacitors. Assuming he's genuine he'll now move on to trying to get it to run when it is not plugged in. He may manage to get it to run for a short while off the capacitors, but it will quickly stop. Then he will contact the inventors, and they will charge him consulting fees as they try to troubleshoot what he "did wrong". Eventually he will give up. Here's the schematic of the device. The red circuit is the actual generator. The green circuit is a resonant circuit - a "tank circuit" that will store energy (but not create energy). So all he is doing is spinning it up fast enough so that the generator circuit will light the bulbs, and the tank circuit is resonating. It's unclear to me if the tank circuit does anything. The fine print is kind of interesting. thinking, patience, and consideration for the greater good. quantum physics is also required. DEVICES AND HOW THEY WORK (e.g. resonance and tuning). 2) I WILL NOT COMMISSION (TURN ON) OR INSTALL THE QEG WITHOUT AN ELECTROMECHANICAL ENGINEERING PROFESSIONAL. 3) UNDER THE ABOVE CONDITIONS, I MAY USE THE QEG INSTALLATION INSTRUCTIONS FOR PERSONAL USE, AND UNDERSTAND THE NEED FOR IMPECCABLE COMMITMENT TO THE BETTERMENT OF HUMANITY. IN THE BEST INTEREST OF THE PEOPLE OF PLANET EARTH, I WILL NOT ATTEMPT TO MISUSE OR MONOPOLIZE THE QEG INSTALLATION INSTRUCTIONS IN ANY CAPACITY, NOR WILL I ATTEMPT TO MAKE A HUGE PROFIT AT THE EXPENSE OF ANOTHER HUMAN BEING. IMPORTANT – Please make certain that persons who are to use this equipment thoroughlyr ead and understand these instructions and any additional instructions prior to construction, installation and operation. In addition, we require you to read this notice again when you are ready to assemble the core. When we finally pushed her to resonance the first time the entire room began to chant the tone the QEG was making. 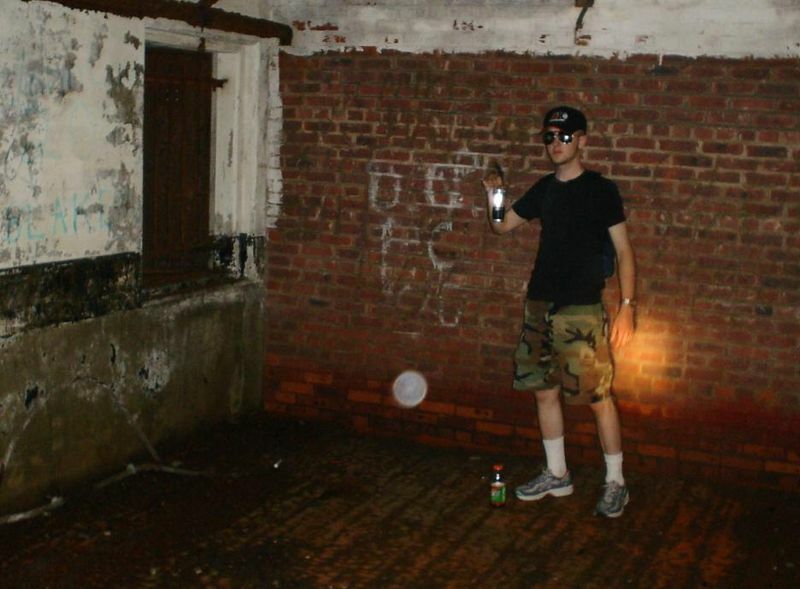 After the QEG achieved Resonance several Orbs were captured by people taking photos and Hans was able to capture some amazing footage of Orbs on video, which will be uploaded as soon as possible. Unfortunately these people have been conned. But they are so optimistic it's going to take a while before they realize (if ever). This german rightwing-esoteric-blog has the blueprints for it! This is from the guy who actually sells it, and he claims that he's unplugged it. Impossible to tell from the video, but of course it's trivially easy to fake. We’ve got an awesome program this week! Fix The World organization has been making progress with their QEG (quantum energy generator) project. Although the machine is capable of producing significant electrical power without a conventional fuel source, there are safety considerations that builders may not be aware of. Energy being derived with these types of devices is not only electrons like most engineers are familiar, but include other particles and fields not commonly taught in conventional electrical theory. In addition to high voltages being generated, dominant energy systems can manifest large quantum energy pulses showing up at a distance which could cause fires or harm electronic equipment. WITTS Ministries advises experimenters to exercise extreme caution and urges serious engineers to consider taking a few classes before working at significant power levels. Sir T will have more information on this week’s broadcast. As mentioned during a previous week, tonight we’ll have pictures of a high horsepower motor designed and built by the WITTS engineers. As previously stated, this device put out well over 500 HP and required very little input power. This has never been seen publicly and tonight Sir T will give us more details on its capabilities. We often discuss chemtrails and what we can do to help clean up the problem. According to this video there is a new type of chemical warfare being waged against us… Chem bombs. This new menace was recently seen near San Diego exploding over a densely populated area. We will endeavor to keep you intriqued with amazing testimonies and dialog from Sir T and the WITTS team! You never know what surprise jewel might reveal itself during the broadcast, so stay tuned! Please don’t forget to join us live. Another fantastic program that you will not want to miss! You are also welcome to call in. All HIS Love, and God bless you! Don’t forget! WITTS Ministries is a member supported organization. Please visit our website and help support our efforts to bring out new technologies that will significantly shift the planet toward long term sustainability and prosperity! 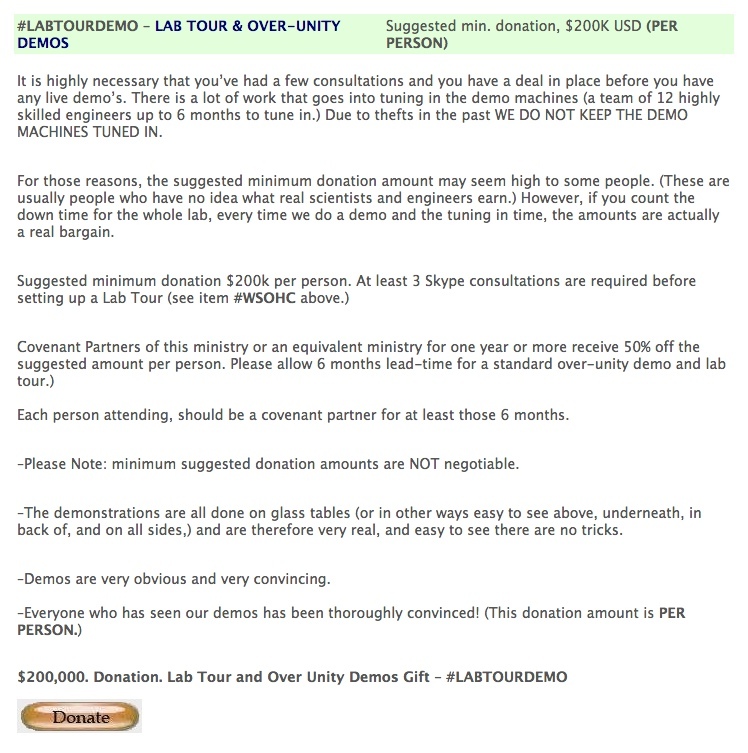 As soon as I saw the posted examples of their publications and appeals for "Donations", and use the word "ministry", then the scam was self-evident. Actually I don't think WITTS are entirely true believers. They are the ones selling things. The people in the original video probably are though, which is rather unfortunate. I suppose no great harm will come to them though. I wonder if there's any self-aware irony over their use of FTW. Does this count as a perpetual motion machine? Besides that these machines where not unplugged, their claim is that they get 10KW electrical power from just 1KW input - to proofe that claim, you need at least a set of Multimeters on the input and on the output-side. I can´t see any Multimeter anywhere! Where are they?! You have to measure and monitore Volt/Ampere at the Inside and also on the Outside. Light-Bulbs doesn´t proofe anything. Free-Energy-Believers mostly just show Voltage or Ampere on the Input/Output-Side. Electrical Power is the combination of Voltage and Current (in Ampere), so you have to measure both at the Inside and Outside of your wonderfull Free-Energy-Machine to proofe that you´re getting additional Energy with it. ... where are the measuring instruments in those Videos?I can´t spot anyone! Yeah it's not a 'hard' debunk, I think this is 'debunked' for lack of any verifiable evidence for an extraordinary claim. If it's claiming something contrary to known physics, and without verifiable evidence of an actual working device, then it can be dismissed. The fact that they have a dubious worldview isn't hard evidence against them but it does contribute. Does this mean anything to anyone? This is a parametric oscillator (inductance is the parameter) oscillating at the ferro-resonance frequency of the core. This worked in 1934 when Mandelstam and Papalexi experimented with it (concentrate on the experimental part of the paper on page 123). The original paper can be found here. It will also work this time. The excess energy is coming from the iron nuclei in the core through acoustic NQR excitation. Well, am finding a lot when using a simple search of "qeg scam". Been around for many years, keeps popping up apparently. I think everyone knows by now that I am a supporter, and commentator on technology and devices that harvest energy (solar, thermo electric, wind etc). These are real and are being adapted at an ever increasing rate. I call this the Green Revolution, and it is a reality. A source of external input is required, such as solar.
. . . etc, etc. I see no claims that more energy is coming out than is going in. Doesn't sound like overunity to me. If people have a problem with a post, then report it. Otherwise, let's stick to the topic. 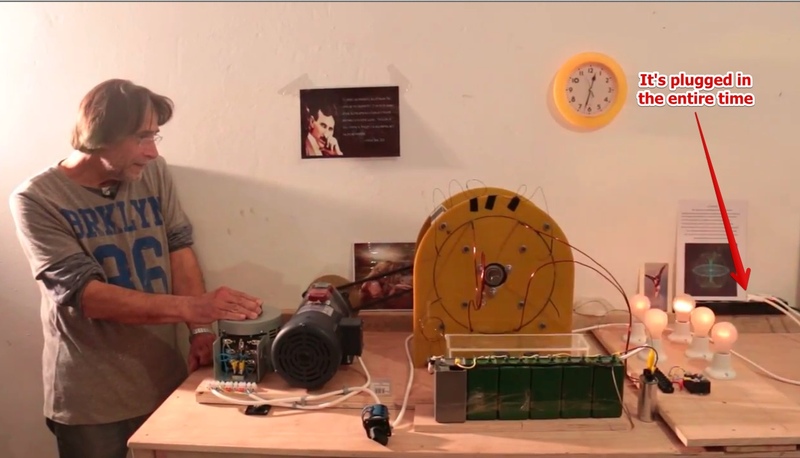 Here we have a video of a supposed free-energy machine, yet it's clearly only running because it's plugged in. That's really all there is to it. Posting this from the overunity forum as it seems to be a summary of what's going on with the device, though it's all greek to me. Here is an email I have sent to a number of people asking me about the QEG. Thank you for your email. 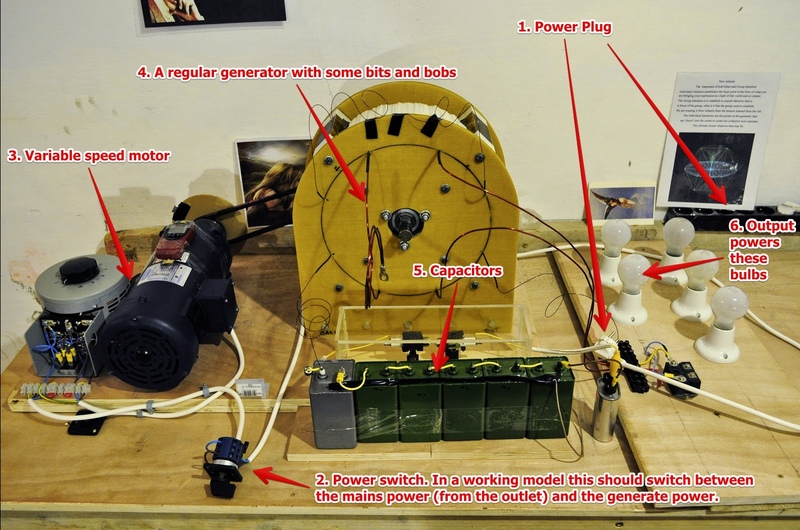 The QEG plans show a simple, switched reluctance generator powered by an external electric motor. (page 7) This has nothing to do with Tesla!!! This exact design was first proposed by John Ecklin in 1979. I was a member of a group of researchers in Santa Barbara who built and tested many variations of this class of generator through the 1980s. These machines are generally called "switched reluctance generators" or more correctly "variable inductance generators." If you put a capacitor in series with the input, as shown, the unit will "self-excite" if there is a slight amount of magnetism in the rotor or stator material. There are specific speeds where the electrical output power goes up due to the resonance event, but during these episodes, the requirement of mechanical energy input goes up as well. If you just meter the voltage and the amperage, it looks really good, but it's mostly reactive power as the volts and amps are out of phase. If the output removes magnetic energy from the core, then there is less to circulate in the resonant tank (LC circuit) created by the input coils and the capacitor bank. The system has a specific number of joules of energy (real power) circulating in the magnetic core and any real energy removed is produced by the reversal of the field in the output coils by the rotor shifting position. Rotation of the rotor produces the mechanical shifting of the magnetic fields and reinforces the currents oscillating in the input coils. One of the patent filings I produced back then was titled "Mechanical Rotary Transformer" and covered a design similar to this in many ways. The best tests we produced with our prototypes had a COP = 1.2 (120% efficient). The people involved in the Santa Barbara group included myself, Mike Knox, Bruce DePalma, Chris Carson, and later Eric Dollard. In a parallel development, John Bedini duplicated much of the same series of experiments and concluded the same thing! The best the machines could do was about 120%. All of this happened before the internet, and since the experimental results were disappointing, no final report was ever produced. Knowing what I know about this class of machine, I do not believe anyone is going to build one of these in their backyard and power their home with it. We spent over $30k building and $50k testing prototypes of these machines between 1981 and 1987. This is not going to go where you think it is going. In the image of the article "ecklin1", John Ecklin is suggesting 400% efficiency was possible, but it never was experimentally demonstrated. In the image of the article "ecklin8", the design of the machine on the left shows the same structure as the one in the QEG plans. The drawing on the right is from my patent filing, first reported on by Paul Brown in 1981. Both Paul and I knew John Ecklin. Sorry, but I am trying to help people understand that this has been looked at, in depth, over 30 years ago, and it doesn't work well enough to produce a self-running machine. I have no knowledge of the "Fix the World" group or their motives for putting these plans together, but it is my belief that this sort of machine is not perfected yet, and should not be "open sourced" to a community of enthusiastic people who do not have the machine shop skills or the sophisticated electrical engineering and mathematical background to understand the significant subtleties of a variable inductance machine. In general terms, that posting by Peter Lindemann is basically correct in his reasoning and discussion of what's taking place from my perspective and from what I have learned over the past week. However, where he stumbles and falls is in his claim of a COP of 1.2. Notice he doesn't give any details about what that COP 1.2 even means. So sorry to play the Bad Cop but Peter's COP 1.2 claims are junk. If what he said was true his whole team would have received the Nobel Prize. A magnetic core in an inductor or a transformer is a lossy mechanism for storing and then recovering magnetic energy by definition. Even is it is 99.9% efficient at returning the energy that you put into it that is still lossy. There is no such thing as a magnetic core returning more than you put into it. The overunity people also seem to be overenthusiastic. 30 years of fiddling with this device, and they have never demonstrated actual "overunity" to actually power a light bulb, let alone a house. And if they DID actually get 120% efficiency, then they would indeed win the Nobel prize, revolutionize the world of science, and save the planet. Their excuse for failing to document it was that it was "pre-internet". It's basically a more easy-going version of the WITTS Ministry, Enlightened Technology, from above. I've seen a lot of scams in my time, but this strikes me as one of the most cynical and cruel. and when that inevitably fails, you try to sell them multiple $300 phone calls to talk with "servants of god." It makes the Nigerian scam look downright benign and quaint by comparison. They were consulting with people in Taiwan last month, and had plans to take the scheme to Morocco. I don't see how they can stay ahead of their failure to produce. This forum supports those who strongly resonate with the impression that the QEG, and the technology involved, requires more than just an engineer’s degree and logical mechanical thinking to make her work. On the one hand the QEG is indeed a machine, but a totally different kind of machine than the ones we are so familiar with. It is true that she may need a skilled technician to build her, but truly requires a shift in consciousness to understand what makes her ´tick´. And that´s where one´s attitude in this whole process can and will make a difference…. Take for example the "double-slit experiment," where the mere act of ´observation´ can completely change the outcome of an event. There are a number of things so far, involving the measurable part of the QEG, which currently may not make any sense… but then perhaps it needs a different level of sensitivity all together. Your presence, your state of mind, your attitude are believed to be key ingredients in observing the successful creation of this free energy device. This forum supports that belief and vision. In short: There is no place for skepticism in this forum, you won´t get far trying to court a lady with skepticism, cause truly that is what the QEG is, a Lady with a mind and a will of her own. Invoking the 'bad vibes make it not work' line. Even worse (and, I had noted that previously...as if they are implying that one must "believe" in the process in order for it to "work"?). The reference to the famed "Double-Slit" experiment in the physics of quantum mechanics, and what seems to be an appeal to (again) a very simplistic and layperson understanding of what is represented by that science, in a manner that seems intent on attempting to perpetuate a hoax. This does not intend to slur those not familiar with QM (surely, it is NOT my field! ), but I make a concerted effort to attempt (also a layperson in this science) to at least understand it to the best of my abilities. Not always successful, so I rely on the established experts in the field, as guides. . . .but truly requires a shift in consciousness to understand what makes her ´tick´. It doesn't require a shift in consciousness to measure power in and compare it to power out. Who are these people? Class act! Give away schematics for a wealth machine that will not produce the goods and sell premium support services for it, adding the clause 'having the right frame of mind' required. "but sir, it's not a scam you simply have the wrong attitude, that's why it won't work". "and when it is working for you, we're selling today only at a rock-bottom price of $1million a month, a five-year exclusive sales right for your area" "p,s, want to buy a bridge?" In general "funny" YouTube videos are to be avoided. Most people don't watch them, and they confuse people. Well according to the forum I'm following, the latest build in Morocco didn't achieve anything special. It's a popular sport, searching for a niche to suspend a loose trick of one's imagination in, so that one can become a leader in a hitherto-unknown field. One is a child running out into a freshly fallen snowfield, placing one's steps where no man has trod. Until the snow melts. Not that I know much about it either, but I do know of "the quantum barrier", that the quantum world is frictionless, and once one's in it, one's calculations are Newtonian only. In other words, there's very little in the way of connections or extrapolations which connect to our middle world, let alone the cosmic world of the universe. The whole idea is a straw man perpetrated by straw people. It can certainly warm cold soup then. Let's call it a "microwave oven", poorly described. Things to look for on a gravity wheel. 1. A slow start on its own, or a small bump or push to get it started. Not a fast hand actions. 2. It will pick up noticeable speed if it is a possible. 3. have them set it on its side for it will stop and make no noise in that position. If a motor is in it? It will still make noise. These are indication in a closed design demo. An open demo have the wheel removed from it's stand and it still be running and have them turn around for full visibility. Also look closely for any fishing line for it is used in fakes. I will admit that I do play with the gravity approach. Wouldn't it be a fair and true thing to mention that even using gravity, friction will get you in the end.